About 7% of men around the world suffer from paruresis, an anxiety disorder where they can't pee if other people are in close proximity. 2. Law in USA requires the eggs sold in supermarkets to be washed and European Union law requires the eggs sold in supermarkets to not be washed. Both do it to prevent salmonella. 3. Kobe Bryant’s grandmother only came to see him play one game in his entire professional career. In that game, he played against the Toronto Raptors and scored 81 points. 4. Little Merrit was an 8-year-old boy who died in 1865. A few days before he died, he told his dad he was afraid to be buried in a dark tomb. His parents honored his wish and put a window in his tomb. 5. When Danes living under Prussian rule were prohibited from raising the Danish flag, they bred a pig to look like the flag and called it the Danish Protest Pig. The first Zildjian cymbals were created in 1618 by Avedis Zildjian, an alchemist who was looking for a way to turn base metal into gold. He made an alloy of tin, copper, and silver into a sheet of metal, which could make musical sounds without shattering. 7. Tom Hanks produced Mamma Mia with his wife, Rita Wilson. Hanks even auditioned to be one of the three main men but was denied because his singing voice wasn't quite up to snuff. 8. MIT researchers have been able to capture sound from a soundless video of a chip bag using a high FPS camera recording. All sound causes objects to vibrate and using advanced software, they were able to match the vibrations shown in the chip bag to the respective audio frequencies. 9. The Mars rover Curiosity only hummed “Happy Birthday” to itself once in 2013, and the rover doesn't do it anymore. 10. When hummingbirds reach puberty, the males’ beaks grow longer and sharper. They use them to stab other males in the throat to secure mating spots. As composer Mike Greene was working on the "Bill Nye The Science Guy" theme song, a rap group was also recording inside his studio. He called them over to chant "Bill!" into the mic. It wasn't until the show aired that they knew why. 12. When Lisa Kudrow was cast in FRIENDS, it was decided to make Phoebe the twin sister of Ursula, her character in Mad About You, so that TV audiences wouldn't get confused about seeing the same actress in back-to-back shows. 13. The highest paid official of the United States government is Bill Johnson, the chief executive officer of the federally owned power and utilities company, the Tennessee Valley Authority. His annual salary is $5.9 million. 14. The most accurate simulation of the human brain ever has been achieved, but a single second’s worth of brain activity took one of the world’s largest supercomputers 40 minutes to calculate. 15. The theory of “monster under the bed” is probably an evolutionary leftover from our hunter/gatherer days. Children would fear bedtime because of the threat of wild animals. On his travels through the Arctic, naturalist George Steller described a mysterious creature known as the Danish Sea Ape. While this has since perplexed scientists, evidence indicates that he was not describing an animal, but rather subtly mocking the ship's Danish captain, who he despised. 17. American actor Robert Redford badly wanted the lead role in 1967's, 'The Graduate,' but was rejected by director Mike Nicholls because he didn't think Redford could play a loser. 'Let's put it this way," Nicholls reportedly said, "Have you ever struck out with a girl?" "What do you mean?" asked Redford. 18. We evolved to like spices because they have antimicrobial properties, thus, reducing food poisoning, especially in hot climates. 19. Two rats will stop playing with each other if the bigger one doesn’t let the smaller one win at least 30% of the time. 20. There was a Canadian ad campaign for "Diamond Shreddies", which were just the original square Shreddies, rotated 45°. 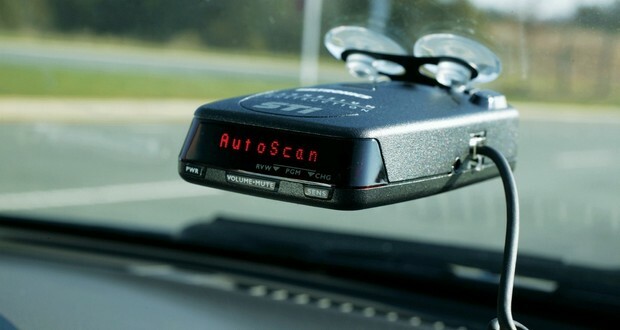 When drivers began using radar detectors, police forces began purchasing radar detector detectors, which led to radar detector manufacturers adding radar detector detector detector circuits to their devices. 22. A man named Maxcy Filer took the California State Bar Exam 48 times before he finally passed and transitioned from being his son's law clerk to his son's law partner. 23. Project Grizzly is a documentary about a Canadian man who, inspired by Robocop and a bear encounter, determined to make bear-proof body armor. In it, he's been beaten with 2X4s, thrown off a cliff, and slammed into by a truck at 50km/hr. It's one of Quentin Tarantino's favorite documentaries. 25. The Roman Catholic Church stated in 1950 that there is no intrinsic conflict between Christianity and Darwin’s Theory of Evolution.